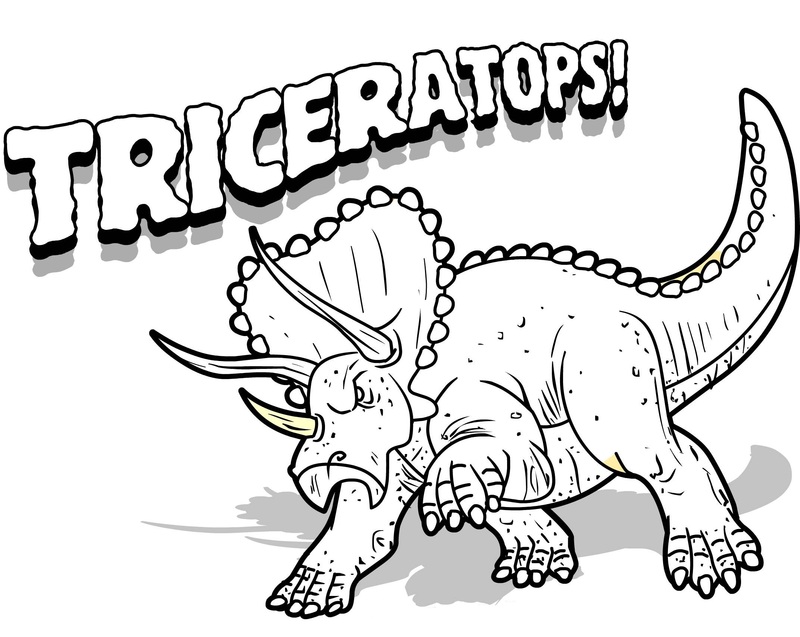 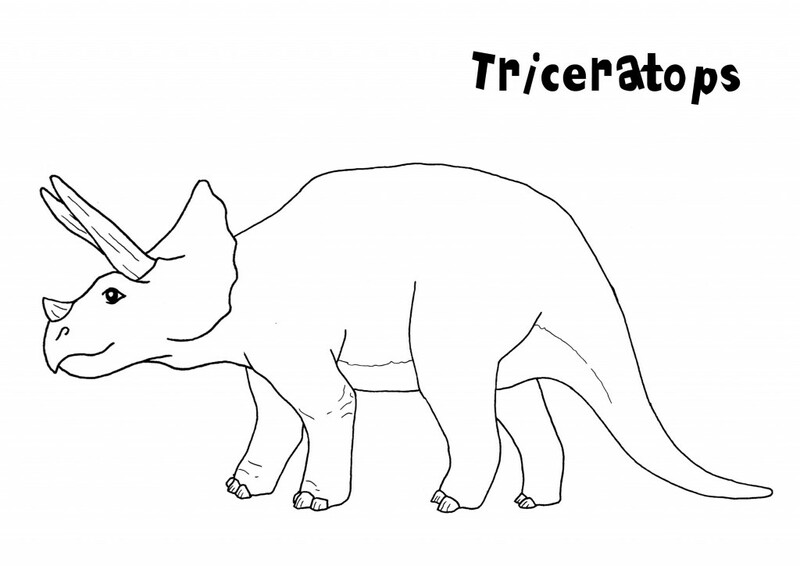 Triceratopses are herbivore dinosaurs that lived around 65 million years ago. 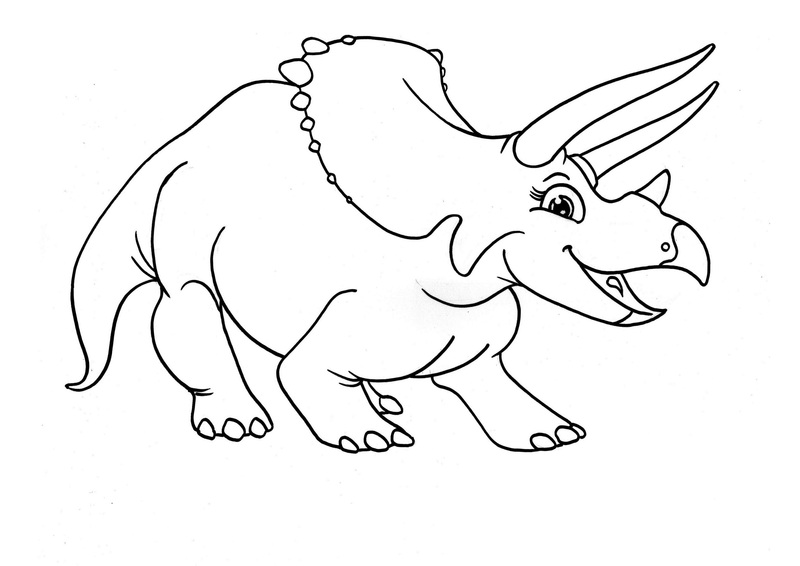 Their large bodies, unique frills near the head and three horns make them one of the most easily recognizable dinosaurs. 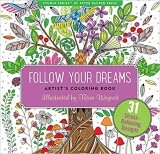 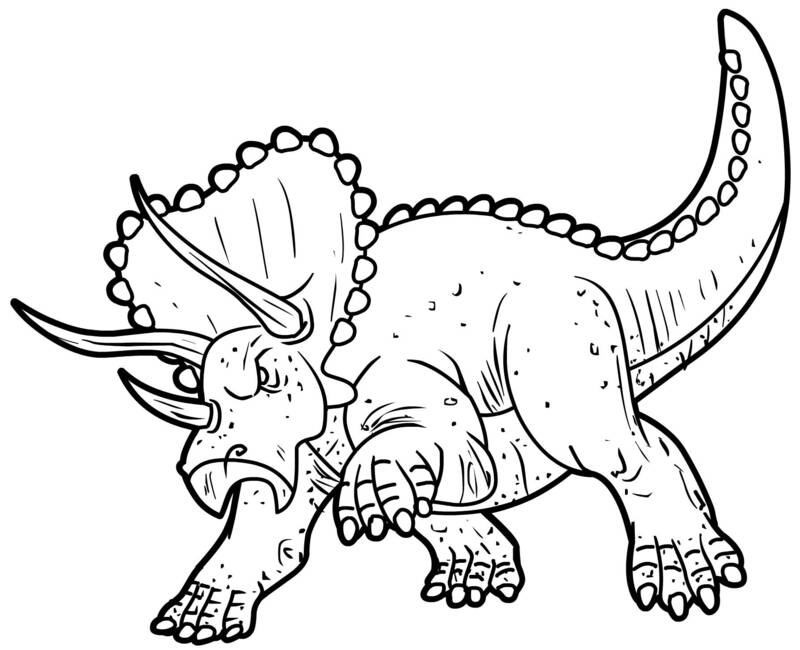 These coloring pages show the dinosaur in different settings, foraging, eating, or fighting with a T-Rex. 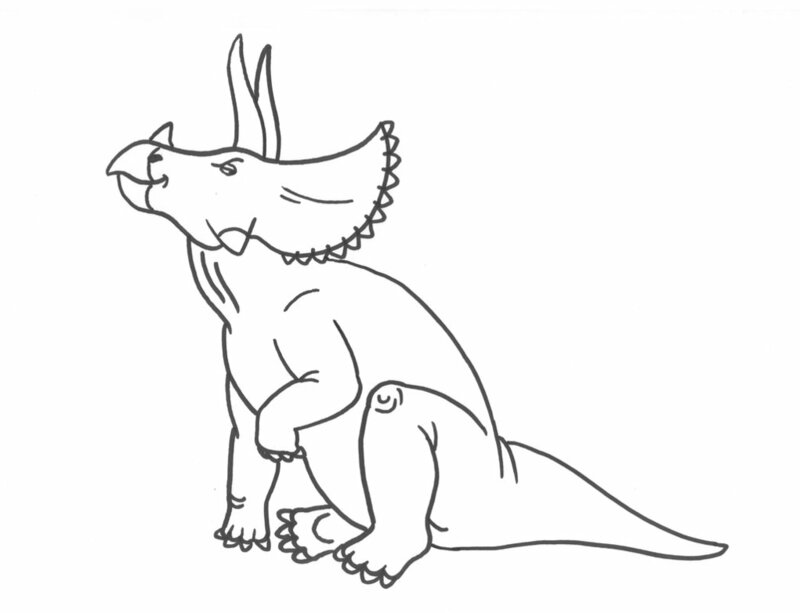 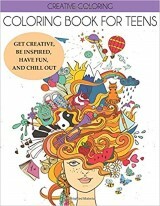 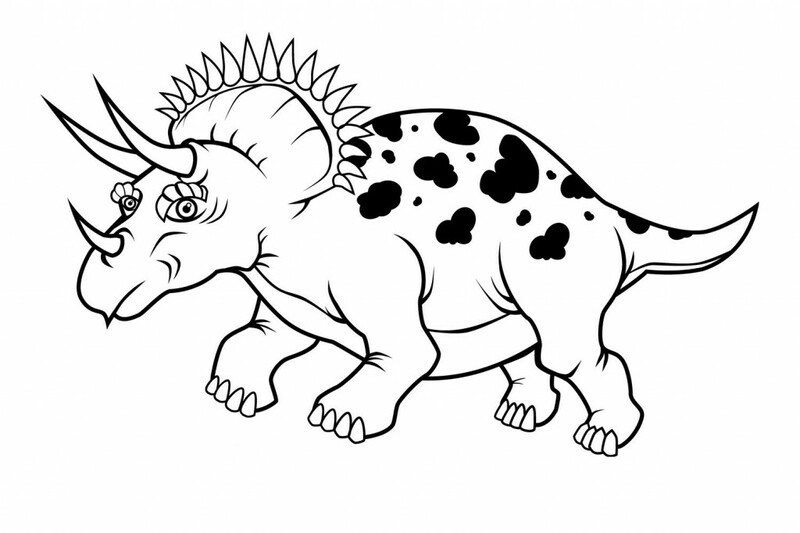 Since nobody has seen a dinosaur with their own eyes, children can be creative in coloring these triceratopses. 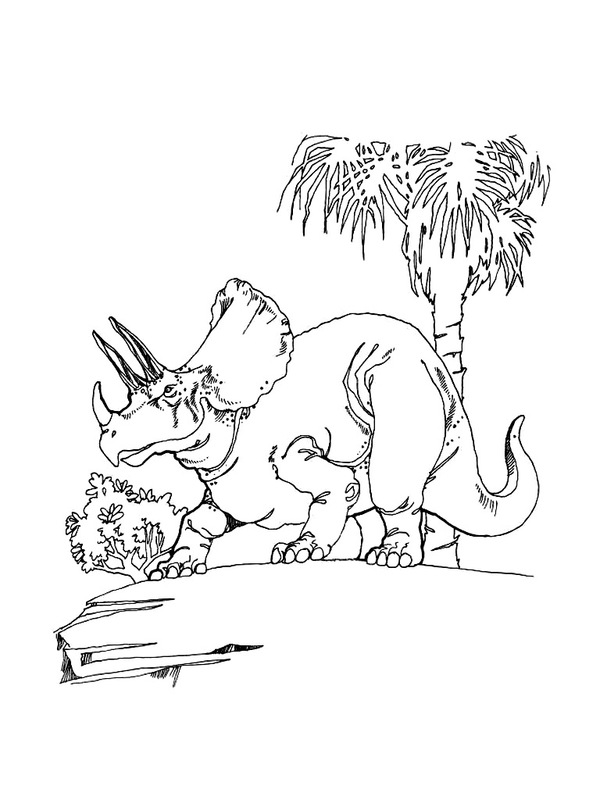 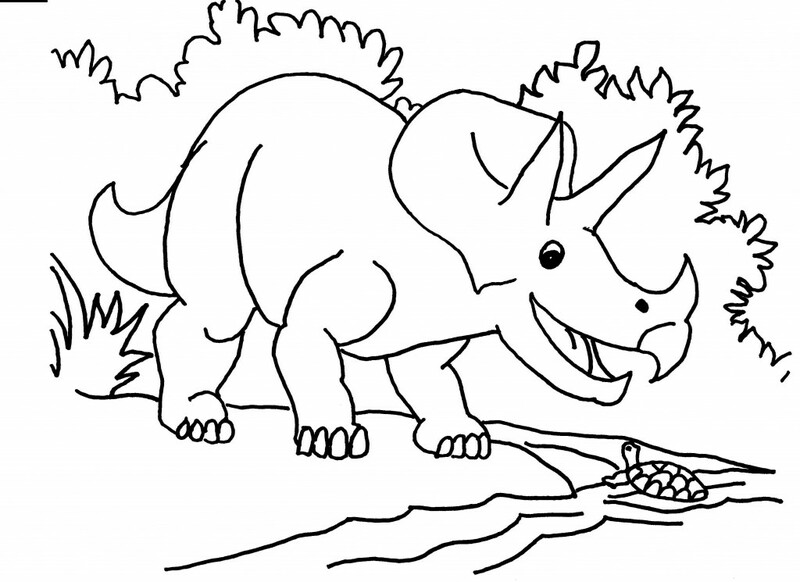 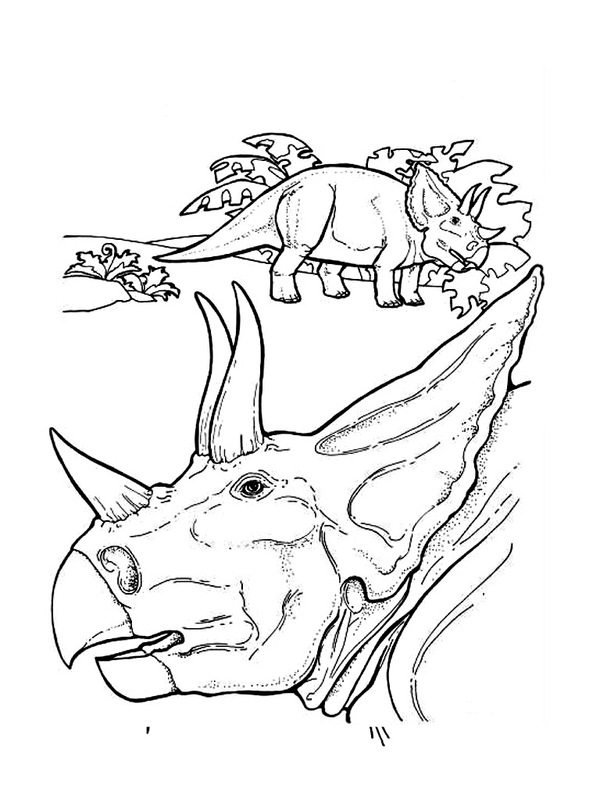 These coloring pages show the dinosaur in various settings and with various expressions.